Global Football is a huge part of our continued program growth. Their trips are educational, fantastic team-builders, and are tremendous value for the money. 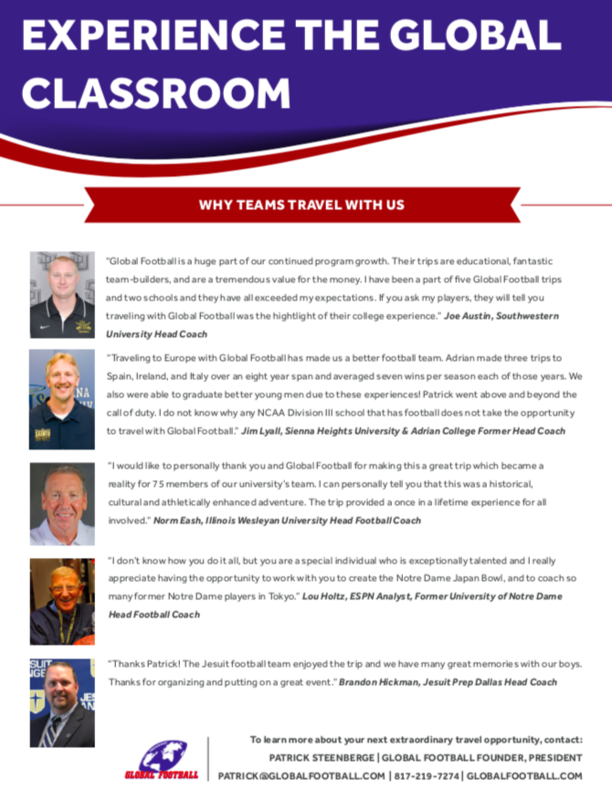 If you ask my players, they will tell you that traveling with Global Football was the highlight of their college experience.